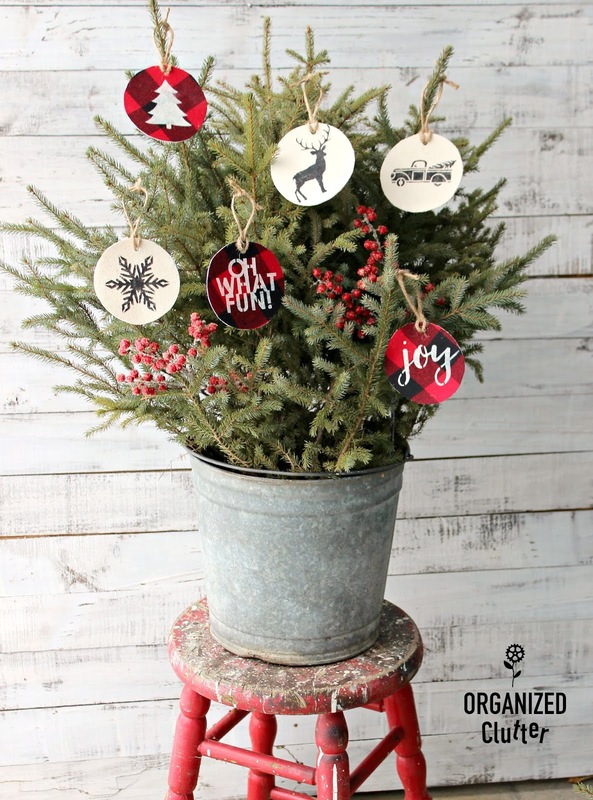 This is another Christmas Crafts/Hobby Lobby ornament six pack. It's marked $4.99, but I purchased the package at 50% off on Black Friday. 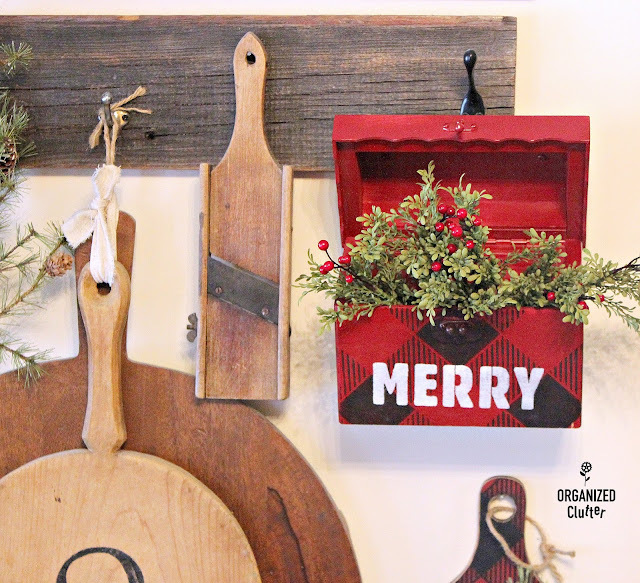 At first, I brushed on Varathane Weathered Wood Accelerator, and they were dark gray. I changed my mind, and brushed on Dixie Belle Chalk Finish Paint in CAVIAR . 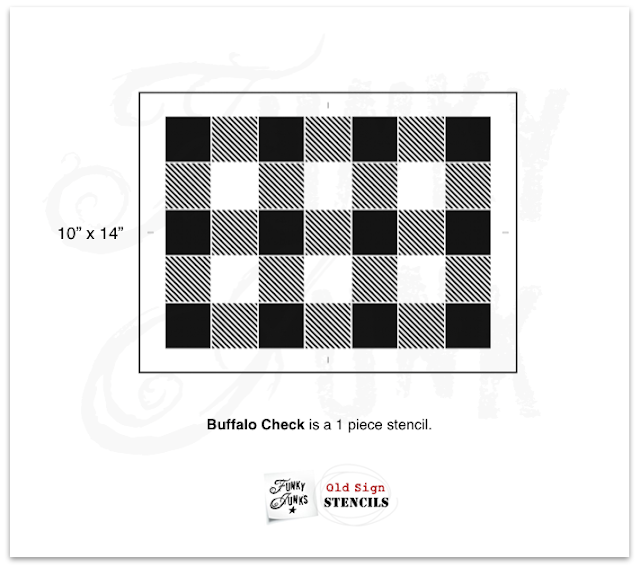 Since so much of my recent Christmas decor has buffalo checks, I pulled out my *Old Sign Stencils Buffalo Check stencil. I used my "go to" Christmas red paint, DecoArt Chalky Finish Paint in Rouge to pounce on the checks. 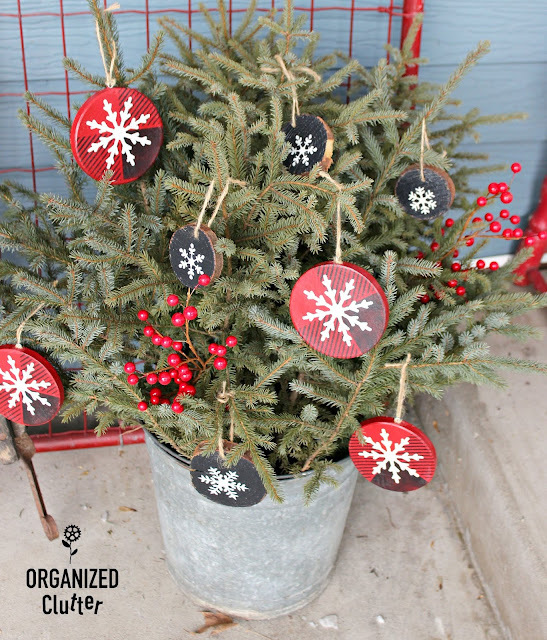 I also painted the top of the ornaments red. 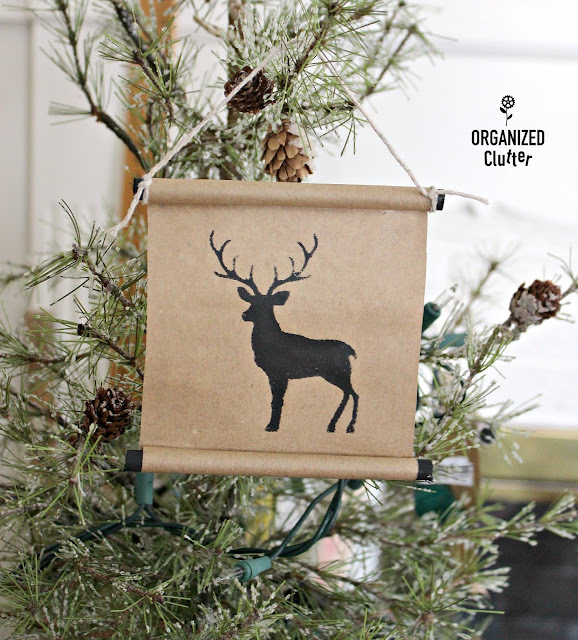 When I finished stenciling, I used a clean rag to wipe on Dixie Belle Best Dang Furniture Wax in Clear . 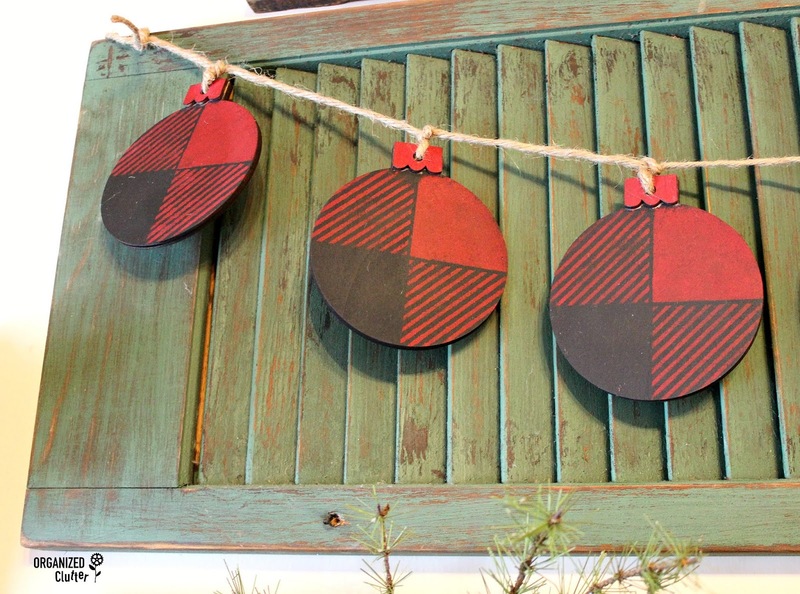 I then tied my six, wooden, buffalo checked ornaments onto a jute string to fit over my 30", green, kitchen shutter. I pounded in a very small nail in the top corner of each side of the shutter. 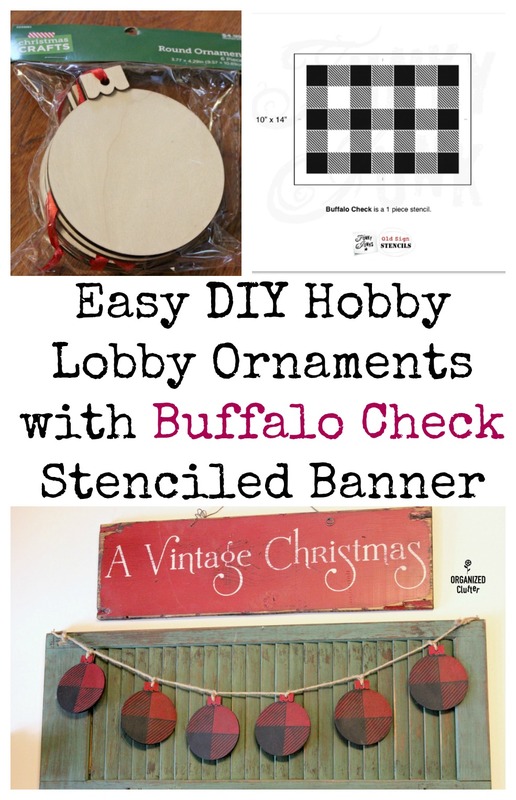 NOW, I have an easy, and very inexpensive round ornament banner! 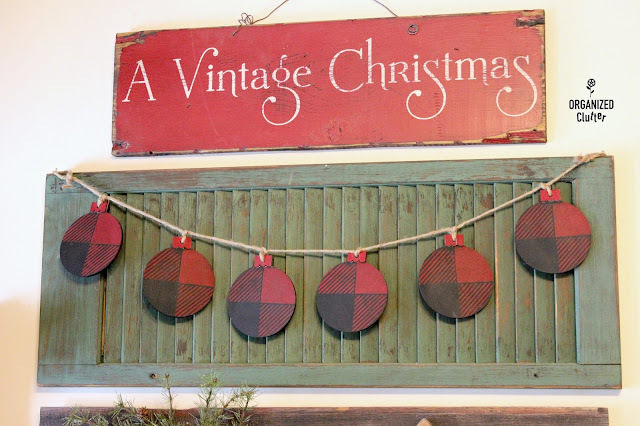 I did not stencil the "Vintage Christmas" sign. My Junkin' Friend Jodi, of Mann Made Signs made the sign several years ago. It's one of my favorites. I am putting my Christmas Kitchen decor together with the ornament banner, and this little thrift shop box, and other buffalo check projects! I shared this easy Hobby Lobby round craft ornament project HERE. This easy fabric ornament project was shared HERE. 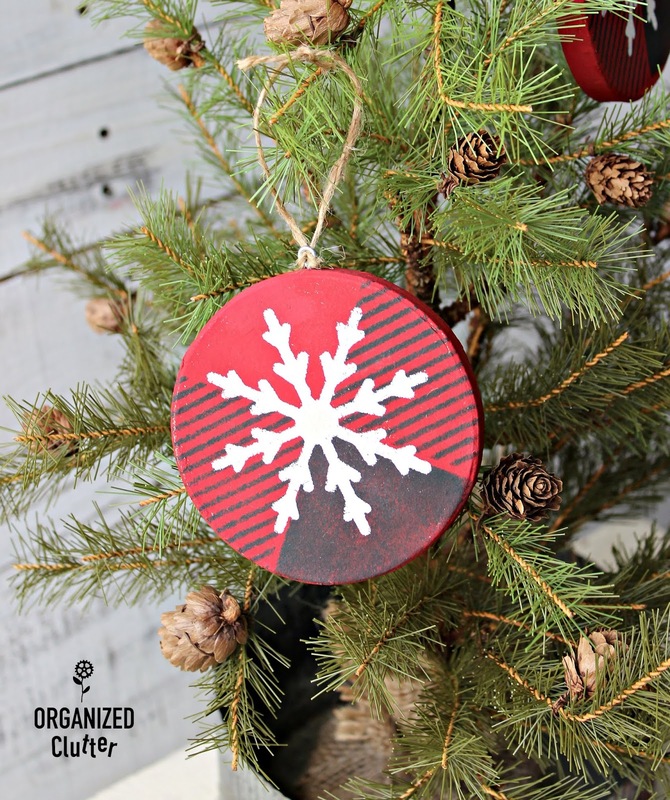 The tutorial for these easy brown paper scroll ornaments is HERE. 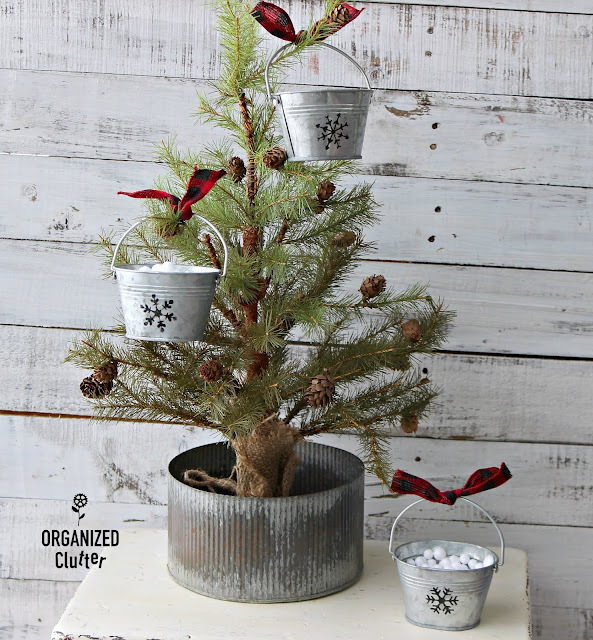 Make these easy Hobby Lobby galvanized pail ornaments with details HERE. Information on these easy Hobby Lobby wood slice ornaments is HERE.